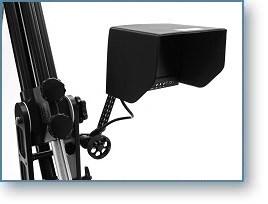 The new MICRODOLLY MONITOR KIT is truly purpose built for crews that travel. Like all MICRODOLLY KITS it has everything you need in a single package. 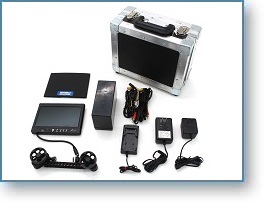 It includes a good sharp 7" multi-format picture and sound monitor that reads PAL and NTSC. It also can display either 4 x 3 or 16 x 9 composite signals, and comes with a sun hood and rain cover. For power, this MONITOR can run on anything from 240/120 AC to 7.2 Volts DC. Both the AC transformer and a 12 Volt seven hour battery, with its charger are included. However, you can power it with a single 7.2 Volt DV camera battery or AA flashlight battery holder accessory. 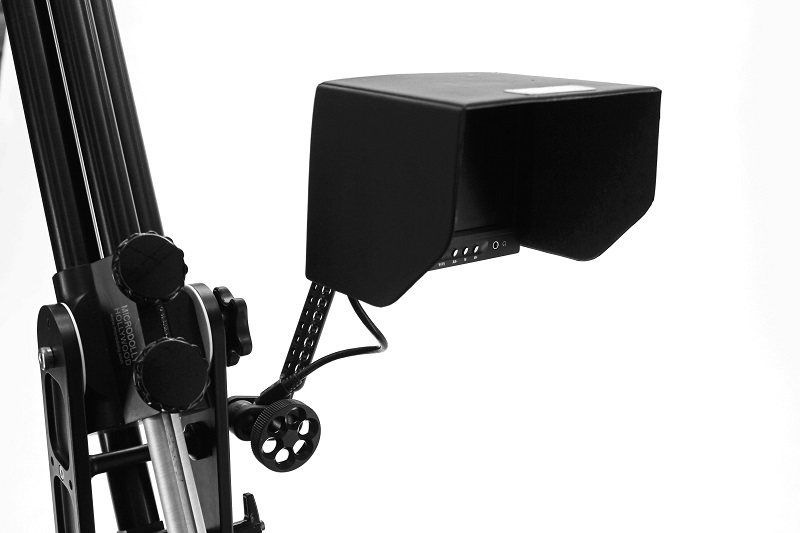 To mount the MONITOR just about any place on your camera or JIB, our unique four universal joint MICRODOLLY Video Assist Monitor Arm is included. The KIT also comes with a 15 foot combined video and audio cable with both RCA and BNC input connectors. Everything is securely packaged in a custom made, foam fitted, steel rimmed hard case that only measures 12 x 9 x 6 inches. That's about the size of a small lunch box. It's a great all-in-one MONITOR KIT for travel.